The 14th edition of the Jewish Motifs International Film Festival will take place in May 23-27, 2018. 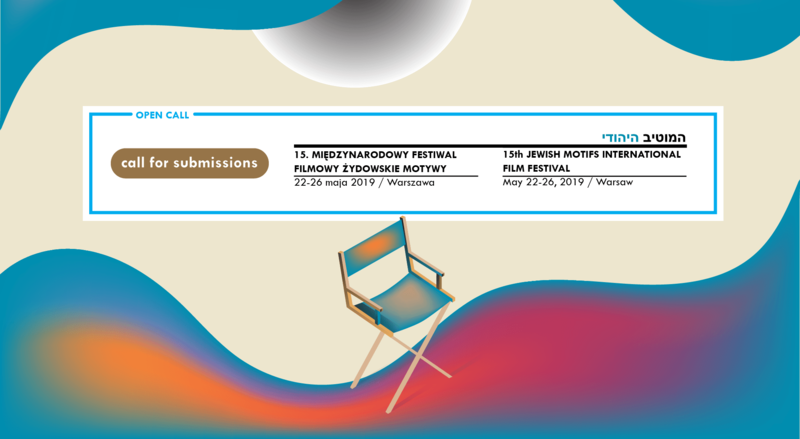 Submissions to the 14th Jewish Motifs IFF are now being accepted. Please note that: only the films made within the two years preceding a given edition of the Festival and in a current year shall be accepted for the Festival, that is 2016-2018 for the edition of 2018. When sending the submission, please email us the filled-in form to the following address: submit@jewishmotifs.org.pl, and post the dvd with film as instructed in the rules (regulamin PL / rules ENG).